The grave of H.E. Kyai Haji Abdurrahman Wahid in Jombang, East Java, which millions of pilgrims visit annually. The inscription on his tombstone—“Here Rests a Humanist”—is written in Indonesian, Arabic, English and Chinese. Humanitarian Islam is a global movement that seeks to restore rahmah (universal love and compassion) to its rightful place as the primary message of Islam, by addressing obsolete and problematic elements within Islamic orthodoxy that lend themselves to tyranny, while positioning these efforts within a much broader initiative to reject any and all forms of tyranny, and foster the emergence of a global civilization endowed with nobility of character. The inspiration for Humanitarian Islam is the unique example of the 15th/16th century Wali Songo (“Nine Saints”) who proselytized Islam Nusantara (“East Indies Islam”)—rooted in the principle of rahmah—stressing the need to contextualize Islamic teachings and adapt these to the ever-changing realities of space and time, while presenting Islam not as a supremacist ideology or vehicle for conquest, but rather, as one of many paths through which humans may attain spiritual perfection. 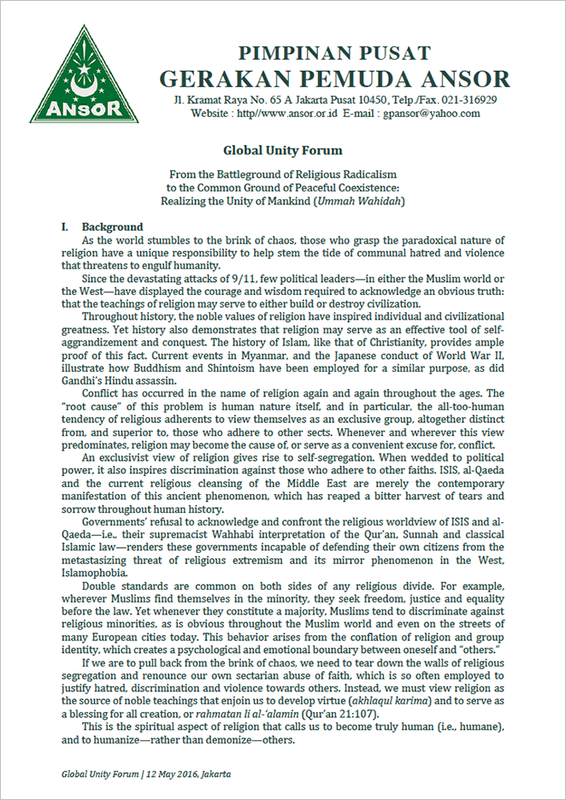 The Humanitarian Islam movement emerged in response to the 2016 International Summit of Moderate Islamic Leaders (ISOMIL) Nahdlatul Ulama Declaration, which called upon “people of good will of every faith and nation to join in building a global consensus not to politicize Islam” (point 15); and explicitly affirmed that the NU “will strive to consolidate the global ahlussunnah wal jamaah (Sunni Muslim) community, in order to bring about a world in which Islam, and Muslims, are truly beneficent and contribute to the well-being of all humanity” (point 16). The movement was born on March 30th, 2017, in Jakarta, Indonesia, when Gerakan Pemuda Ansor and Bayt ar-Rahmah announced the launch of a concerted effort to promote Humanitarian Islam (al-islam li al-insaniyyah), by developing and operationalizing a global strategy to recontextualize the teachings of orthodox, authoritative Islam and thereby reconcile certain problematic tenets of Islamic orthodoxy with the reality of contemporary civilization, whose context and conditions differ significantly from those in which classical Islamic law emerged. The elements in question include those portions of fiqh that address relations between Muslims and non-Muslims, the structure of governance and the proper aims and conduct of warfare. It is precisely these elements that are often employed by terrorists to justify their actions, and by those who seek to use Islam for political purposes, fostering a sense of grievance and alienation from the modern world. Alissa Wahid, the daughter of Indonesia’s fourth president, H.E. KH. Abdurrahman Wahid, and Putri Guntur Soekarno, granddaughter of Indonesia’s first president, attended the launch of the Humanitarian Islam movement at Gerakan Pemuda Ansor’s headquarters. Together, they presented Ansor Chairman H. Yaqut Qoumas with Sri Ayati’s Legacy, a painting that vividly illustrates why the world’s largest Muslim-majority nation and democracy was established as a multi-religious/pluralistic state, with a constitutional guarantee of equal rights for all its citizens. 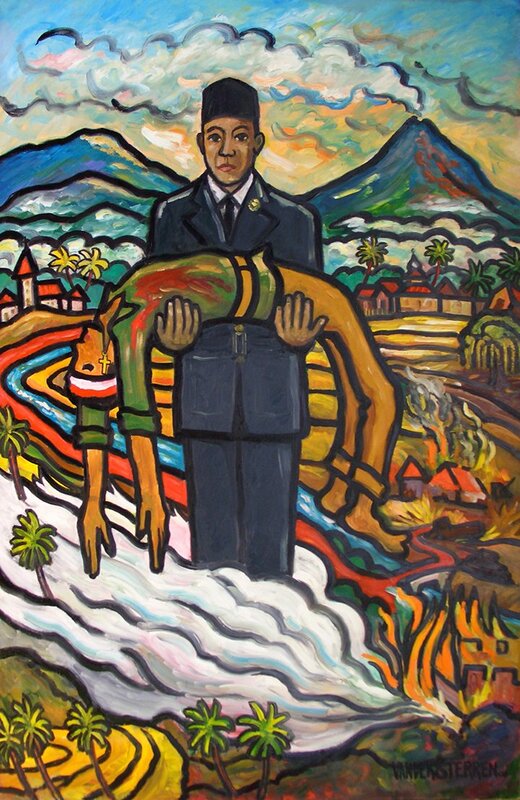 Gerakan Pemuda Ansor adopted this painting as a symbol of the Humanitarian Islam movement. 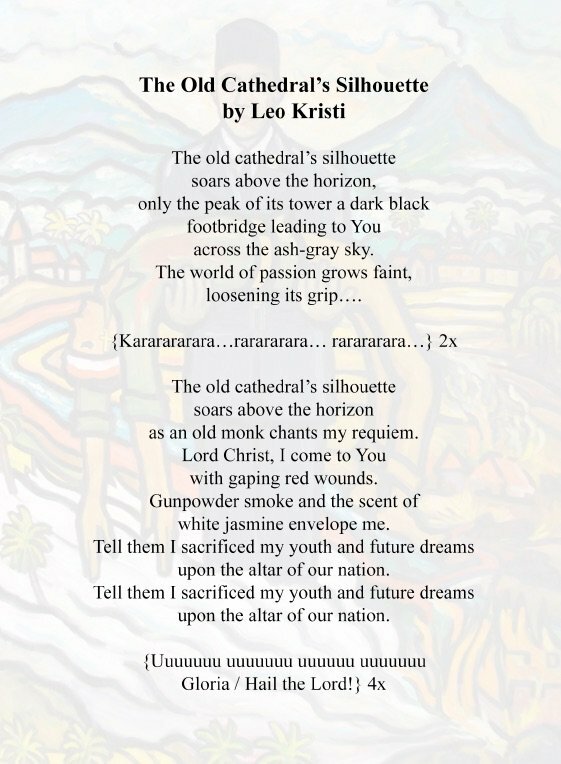 A four-page brochure explains the painting’s significance and contains the lyrics (in English translation) of popular Indonesian musician Leo Kristie’s The Old Cathedral’s Silhouette. This deeply-moving song is written from the perspective of a young Catholic freedom fighter—like the one whose lifeless body lies cradled in President Soekarno’s arms, in Sri Ayati’s Legacy—who sacrificed his life to free Indonesia from colonial rule. On 21 – 22 May 2017, over 300 Indonesian religious scholars gathered with colleagues from South Asia, the Middle East, Europe and North America to address “obsolete tenets of classical Islamic law, which are premised upon perpetual conflict with those who do not embrace or submit to Islam.” The event was held at PP (Madrasah) Bahrul ‘Ulum in Jombang, East Java— birthplace of the Nahdlatul Ulama and its 5-million-strong youth movement, Gerakan Pemuda Ansor. Bayt ar-Rahmah and its sister organization, LibForAll Foundation, have developed—and are currently executing—a concrete strategy to operationalize the Gerakan Pemuda Ansor Declaration on Humanitarian Islam in conjunction with like-minded civil society institutions, governments and people of good will of every faith and nation, including the Nahdlatul Ulama and Ansor itself. Advising the European Union on issues related to Islam, terrorism, security and migration. In July of 2017, the Rotating Presidency of the EU Council introduced NU/Bayt ar-Rahmah policy recommendations via the EU Council TWP (Terrorism Working Party) to help reconcile severe policy differences—triggered by mass migration—that have strained relations between Western European nations led by Germany and the V4 (the Czech Republic, Hungary, Poland and Slovakia). In a formal address to the EU Council TWP, the NU General Secretary KH. 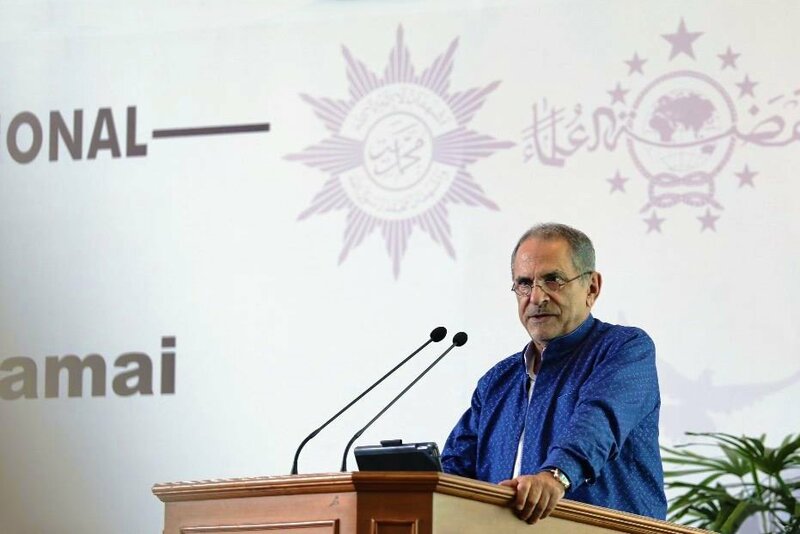 Yahya Cholil Staquf told the European Union and its 28 Member States that “lasting peace cannot be attained without addressing those elements of orthodox Islam that underlie and animate jihadist movements and constitute their center of gravity. Islam must reform itself in order to live in peace with the rest of the world.” The NU General Secretary’s speech to the EU Council TWP is part of a larger effort to establish a common platform capable of addressing issues that threaten not only international peace and security, but EU solidarity as well. Nahdlatul Ulama General Secretary’s “Message to Europe” helped shape public discourse amid the heat of Germany’s 2017 national election campaign. 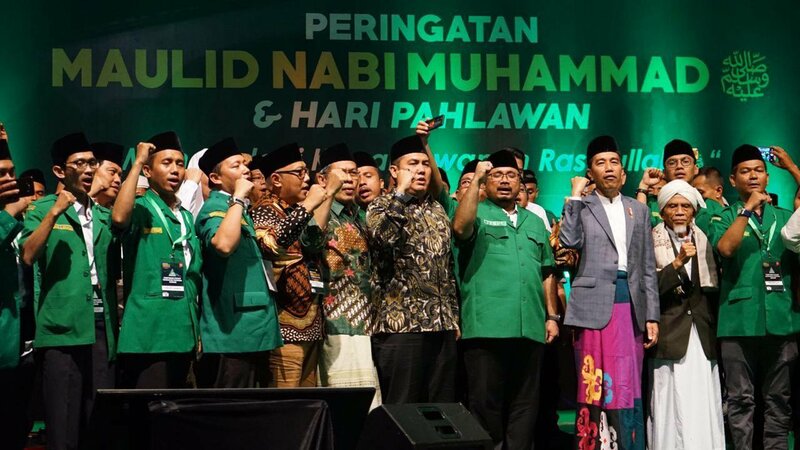 In June of 2017, several organizations affiliated with the spiritual wing of the Nahdlatul Ulama—including Gerakan Pemuda Ansor, Bayt ar-Rahmah and LibForAll Foundation—launched a strategic messaging campaign and began implementation of the road map. On August 19 one of Germany’s leading newspapers, Frankfurter Allgemeine Zeitung (FAZ), published a hard-hitting interview with NU General Secretary Kyai Haji Yahya Cholil Staquf, which promptly went viral amidst an historic election campaign in Germany. Mr. Staquf’s message was quickly translated and conveyed via print and internet/social media throughout the EU, eliciting a strong, favorable response across the political spectrum and the continent, in regions as diverse as Spain, Belgium, Poland, Denmark and Finland. The timing and extent of media coverage within Germany—combined with a nuanced analysis of that nation’s September 24, 2017 election results—suggest that Mr. Staquf’s FAZ interview legitimized public discourse regarding the relationship between terrorism and Islam, and thereby accelerated European voters’ abandonment of political parties that refuse to acknowledge any causal relationship between Islamist terrorism and certain problematic elements of orthodox Islamic teachings and practice. This result is in keeping with GP Ansor and Bayt ar-Rahmah’s strategy to develop a peaceful, common platform and alternative bloc in support of the principles, strategy and objectives articulated in the Gerakan Pemuda Ansor Declaration on Humanitarian Islam, including the need to identify and contain the threat posed by Islamist extremism. In May of 2018 President Joko Widodo appointed NU General Secretary K.H. Yahya Cholil Staquf to the 9-member Dewan Pertimbangan Presiden (Presidential Advisory Council), a constitutionally-authorized body whose members may attend cabinet meetings and are accorded a rank equivalent to Minister of State. Mr. Staquf advises President Jokowi and the Indonesian government at large on religious, domestic and international affairs. 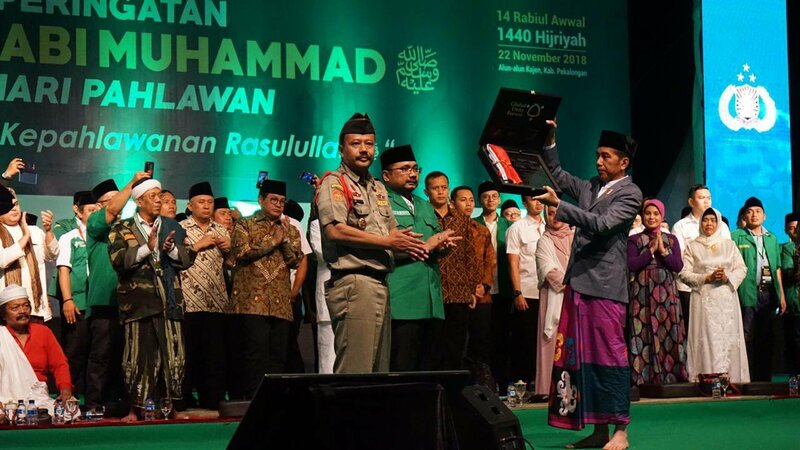 Indonesian Muslim Leader Delivers a “Message of Compassion,” and Reconciliation, from the Holy City of Jerusalem. 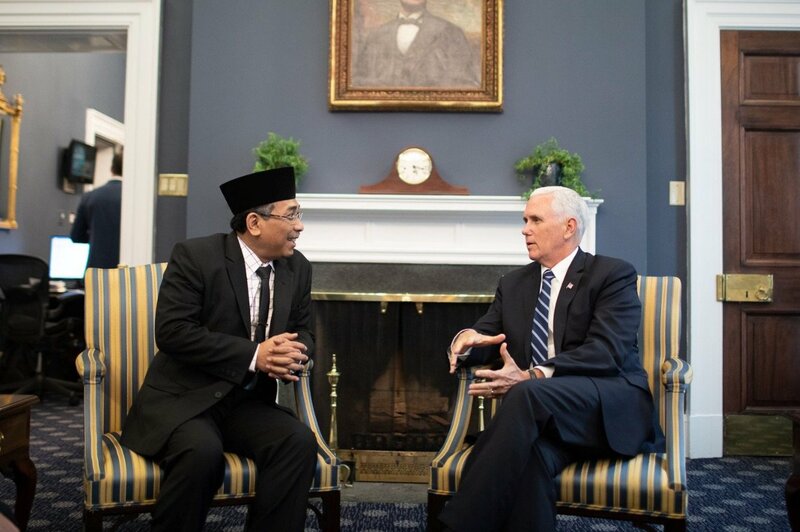 Following a high-profile visit to the United States in May of 2018—which entailed substantive meetings with VPOTUS and other senior U.S. government officials—the General Secretary of the world’s largest Muslim organization, Indonesia’s Nahdlatul Ulama (NU), elicited widespread praise and a firestorm of controversy by visiting Jerusalem from June 9 – 15 2018, where he delivered a message of rahmah (universal love and compassion) in a series of public speeches and meetings with senior Israeli officials including Prime Minister Benjamin Netanyahu and President Reuven Rivlin. Spreading unity through song in one of the world’s most divided cities. On October 9, 2018, the Asia Society—founded in 1956 by John D. Rockefeller III—honored the social music initiative Koolulam with its coveted “Game Changer Award,” in recognition of the group’s collaboration with Bayt ar-Rahmah, Jerusalem.com and the Tower of David Museum, which allowed its site in Jerusalem’s old city to be used free of charge in the production of an historic music video. The award-winning video—created in honor of NU General Secretary KH. 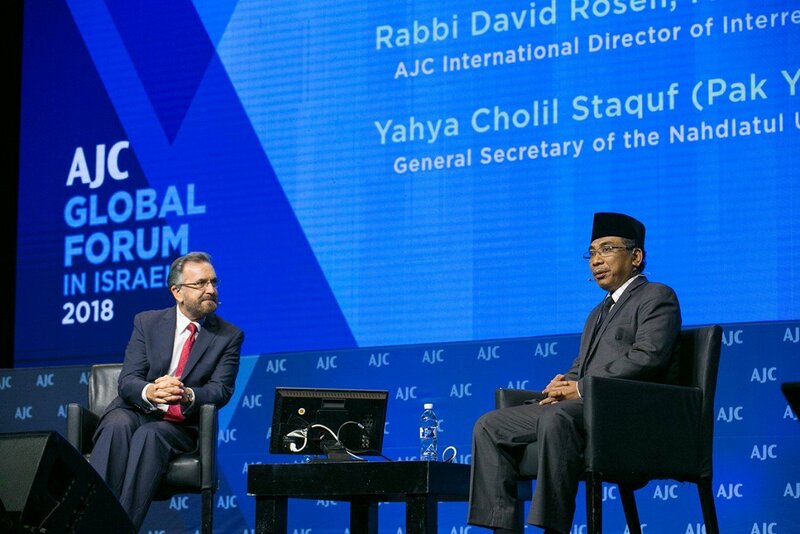 Yahya Cholil Staquf’s visit to Jerusalem—is part of a comprehensive, global campaign to transform religion from a political weapon into a source of universal love and compassion, coordinated by LibForAll and Bayt ar-Rahmah. 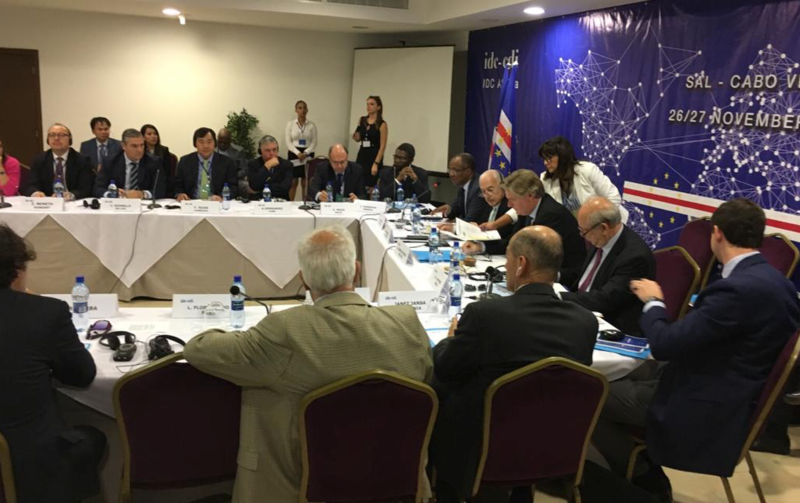 For the first time since the late Middle Ages, a large body of Sunni Muslim authorities are engaged in a wide-ranging, concerted and explicit project of theological renewal (i.e., reform). The Nusantara Statement (text above) contains the core message of the 40-page Nusantara Manifesto, which employs the science of uṣūl al-fiqh—the methodology of independent legal reasoning used to create Islamic law—to examine why it is theologically valid and necessary for contemporary Muslim scholars to recontextualize obsolete and problematic tenets within Islamic orthodoxy that justify religious hatred, supremacy and violence, and thus enable the weaponization of Islam for political purposes. Gerakan Pemuda Ansor and Bayt ar-Rahmah officially adopted the historic Nusantara Manifesto through a Joint Resolution and Decree signed at the Second Global Unity Forum. 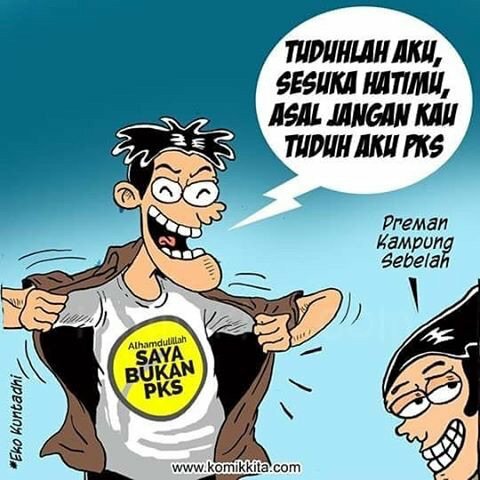 Indonesian President Joko Widodo (Jokowi) and Gerakan Pemuda Ansor move to block the political weaponization of Islam. 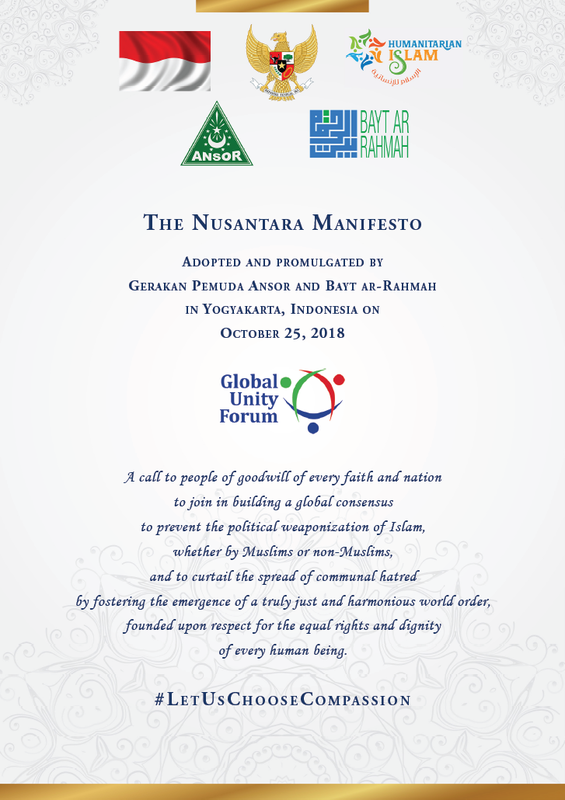 One month after GP Ansor and its international NU affiliate, Bayt ar-Rahmah, hosted the Second Global Unity Forum in Yogyakarta, Ansor promulgated the Nusantara Statement at a mass gathering of over 100,000 of its members, heavily covered by Indonesia’s print, broadcast and internet media. After a public reading of the text by Ansor Chairman H. Yaqut Qoumas, a commemorative steel plaque engraved with the Statement was presented to President Jokowi. The Statement conveys the essence of the historic Nusantara Manifesto, through which GP Ansor and Bayt ar-Rahmah have initiated a systematic and explicit effort to recontextualize (i.e., reform) obsolete and problematic tenets within Islamic orthodoxy. 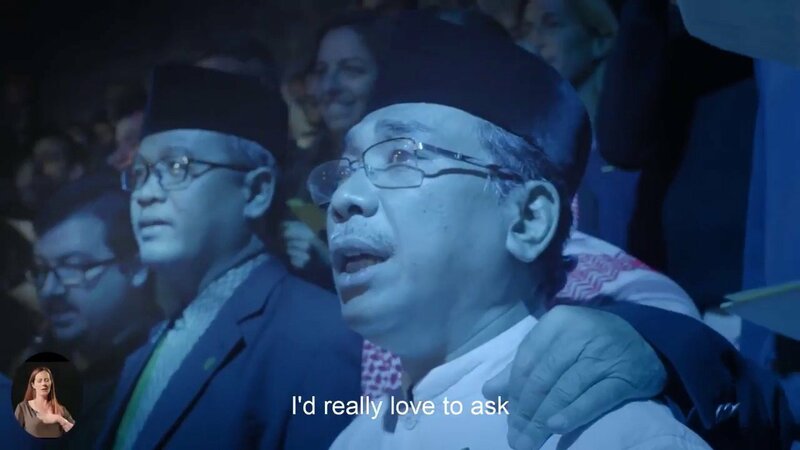 Historic visit to Jerusalem helped shape public discourse amid the heat of Indonesia’s 2018 regional election campaign. Controversy surrounding the visit and public interest in Mr. Staquf’s message saturated Indonesian media, adversely impacting Islamist political parties’ results in gubernatorial elections across the heavily-populated island of Java, which dominates Indonesian politics. Secured direct access to the largest political network in Europe and the world: EPP (European Peoples’ Party) and IDC–CDI (Centrist Democrat International). On November 27, 2018 the Executive Committee of IDC–CDI (above) unanimously approved, in record time, the accession of Indonesia’s largest Islamic political party, the NU-backed Partai Kebangkitan Bangsa (PKB). Established in 1998 by leading NU religious scholars, the following year NU Chairman and PKB co-founder H.E. Kyai Haji Abdurrahman Wahid became Indonesia’s fourth President and led that nation’s transition from authoritarian rule to become the most successful democracy in the Islamic world. IDC–CDI’s European division (EPP) is currently the largest political party in Europe and includes many of its heads of government. Permanent political engagement with IDC–CDI, via PKB, provides an unparalleled vehicle for building societal consensus in Europe and projecting this globally. 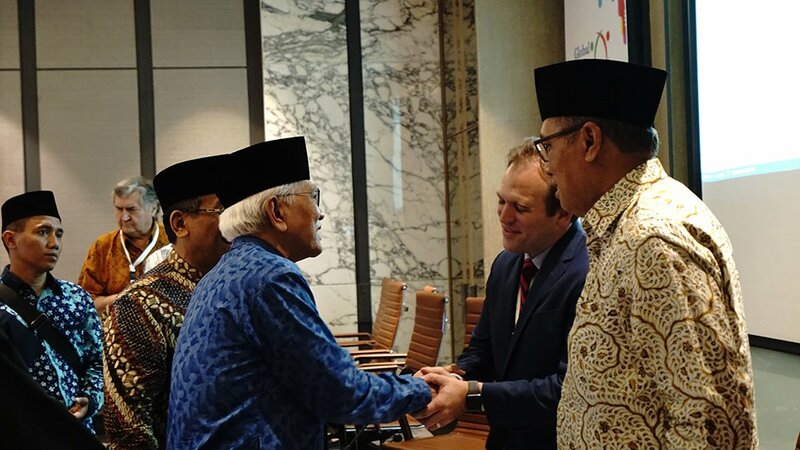 Muslim Emissary Warns Europe from its Balkan Faultline: “Act Now to Address Islamist Extremism, Terror and Migration, or Face Mass Upheaval.” On December 17, 2018, Kyai Haji Yahya Cholil Staquf—acting as Emissary of Indonesia’s largest Islamic political party (PKB) and NU General Secretary—addressed the Slovenian nation at the invitation of its former Prime Minister, Janez Janša. 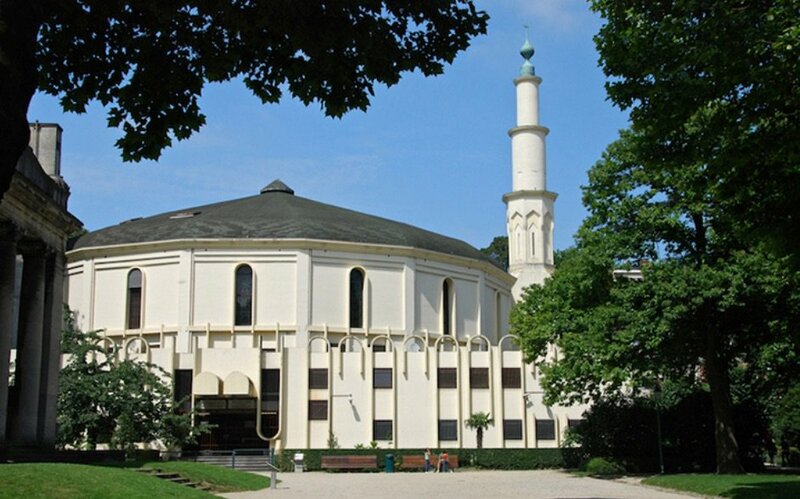 The address, delivered at a heavily-attended public forum in the capital Ljubljana, on the topic of “Migration, Terrorism [and] Freedom of Speech,” came three years after a mass influx of largely Muslim migrants flooded through Slovenian territory into Central and Western Europe, triggering continent-wide social and political upheaval; a wave of Islamist terrorism; and the resurgence of populism as a potent political force for the first time since the Second World War. Both events featured Dr. M. Najib Azca, the director of UGM’s Center for Security and Peace Studies (PSKP), who announced the launch of a book entitled Two Peacemakers: The Role and Contributions of the Muhammadiyah and Nahdlatul Ulama to Peace and Democracy, which was written by PSKP’s research team. The enduring contribution to democracy and world peace of Indonesia’s first democratically-elected president and former NU Chairman H.E. Kyai Haji Abdurrahman Wahid is a major theme of the book, which demonstrates how the visionary leader’s legacy has continued to evolve even after his death, inspiring a burgeoning global movement for Humanitarian Islam and the reform of problematic tenets of Islamic orthodoxy. LibForAll Foundation’s and Bayt ar-Rahmah’s work is extensively referenced in the book, in conjunction with the 2019 nomination of the Nahdlatul Ulama for the Nobel Peace Prize.